Event parking will be in the field by the skate park. Enter the event through the east doors to the gyms by the ice arena. Child care is available through APEX for the first 50 kids --- so register early! Register HERE! Purchase tickets early as we are expected to sell out! Tickets purchased online will receive an email confirmation. Please print the confirmation email with the QR code or display it on your mobile device for entrance into Taste of Arvada. Tickets can also be purchased at the Arvada Chamber of Commerce located at 7305 Grandview Ave. in Arvada. New this year - mobile ticketing! Print or display your confirmation email on your mobile device to enter the event. More than 60 Denver Metro and Arvada restaurants, craft breweries and non-food vendors will display their finest culinary bites, sips and offerings from 6 p.m. to 8 p.m. In addition restaurant and bar vendors will compete for coveted prizes in their categories, voted on by attendees. Tickets to the event include all the samples from both food and drink vendors. Please bring your photo ID if you plan on sampling alcoholic beverages. General Admission Tickets are $20 ($25 the day of the event) and Children's tickets (ages 3-12) are $10. Kids 2 and under are free. Strollers are not permitted inside the event. 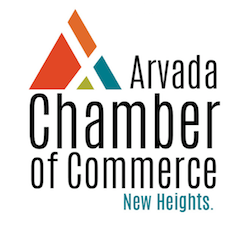 "Taste of Arvada is a wonderful opportunity for Arvada and Denver Metro community members to get a 'taste' of Arvada cuisines and learn about new restaurants, bars and businesses in the area," said Arvada Chamber President, Kami Welch. "It allows businesses to showcase their finest culinary dishes and show Arvada natives and visitors the best dining our city has to offer."